A self-described bipolar career criminal facing a mandatory prison term for skipping out on a drug program told a Brooklyn State Supreme courtroom Monday that he made up a story about hearing convicted "grid kid slayer" John Giuca admit involvement in the murder of a New Jersey college student more than a decade ago. John Avitto, the key witness for the prosecution in the 2005 trial of now 32-year-old John Giuca, appeared Monday as a witness for the defense as a judge determines whether Giuca's conviction should be overturned amid allegations of prosecutorial misconduct. Giuca is currently serving 25 years to life in the murder of football star Mark Fisher, whose body was found dumped in a Prospect Park South driveway after a night of partying in 2003. Avitto testified at Giuca's trial that he admitted his involvement in Fisher's death while the two were housed on Rikers Island. On Monday, he said he did whatever he had to do to stay out of jail. After 11 years behind bars, the convicted killer known as the “grid kid slayer” by tabloids is hoping allegations of prosecutorial misconduct will bring him home to his family again. Sarah Wallace has more. "Do you acknowledge that you lied?" a judge asked him Monday. "Yes, I have," Avitto said. In a recent interview, Giuca told the I-Team he never had any conversations with Avitto about the Fisher case. Giuca’s attorney, Mark Bederow, claims prosecutors misled the jury and withheld information that would have diminished Avitto’s credibility. Prosecutors deny any wrongdoing. The district attorney's office says it stands by the conviction. The new hearing that began Monday should take about a week, but it could take months for Supreme Court Justice Danny Chun to issue a decision. 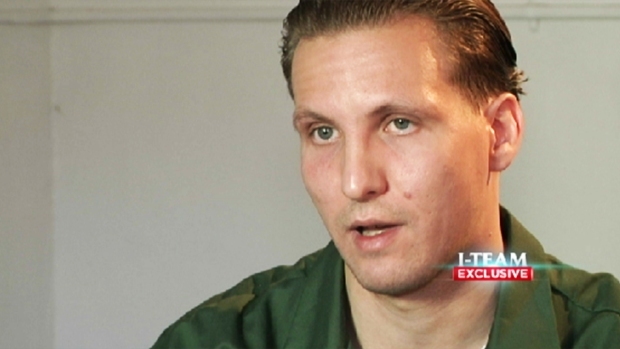 Giuca told the I-Team recently from Clinton Correctional Facility that "every day is hell" for him. “If you can imagine the worst day of your life and now imagine reliving that day every day for the past 11 years, that’s what it feels like,” Giuca said. Fisher's parents were in court for Monday's hearing but declined to speak with reporters.